Fun looking, very cute and always yummy! 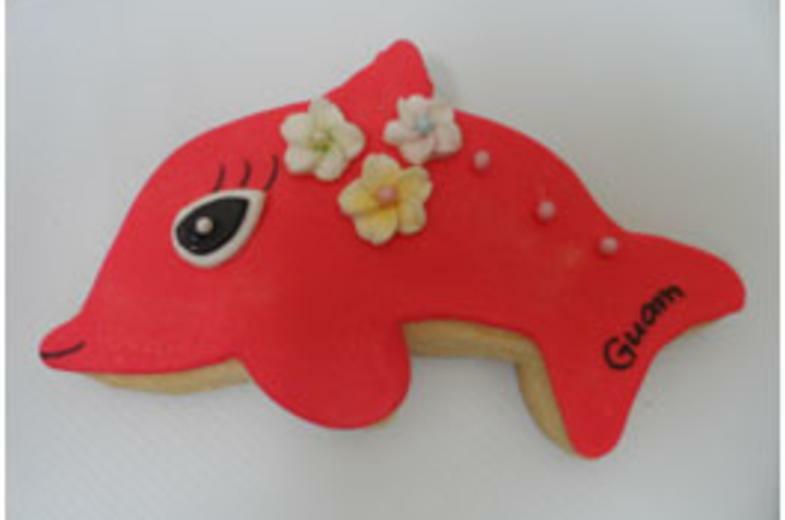 That’s our hand decorated Dolphin Sugar Cookie. In the beginning, we wanted to create a special product for the travel retail customer. We wanted something to remind them of their visit to the Island of Guam. 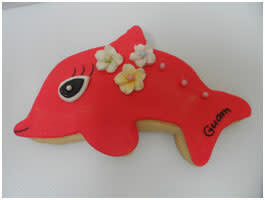 So, we baked a sugar cookie, shaped it into a dolphin, baked it on a stick and decorated it by hand like a piece of art. Today, we sell a variety of cookies on a stick and added our delicious shortbread toffee cookies to our assortment.